Every piece of cured meat gets the care and attention that it deserves. From the beginning, the company philosophy keeps alive the typical handmade manufacturing techniques to offer high quality, savoury cured meats. The consumer can be certain of buying an healthy, natural and balanced product because of the careful selection of the best pork meat guaranteed by the controlled supply chain that certificated the animals origins, along with the strict respect of hygienic and sanitary rules. 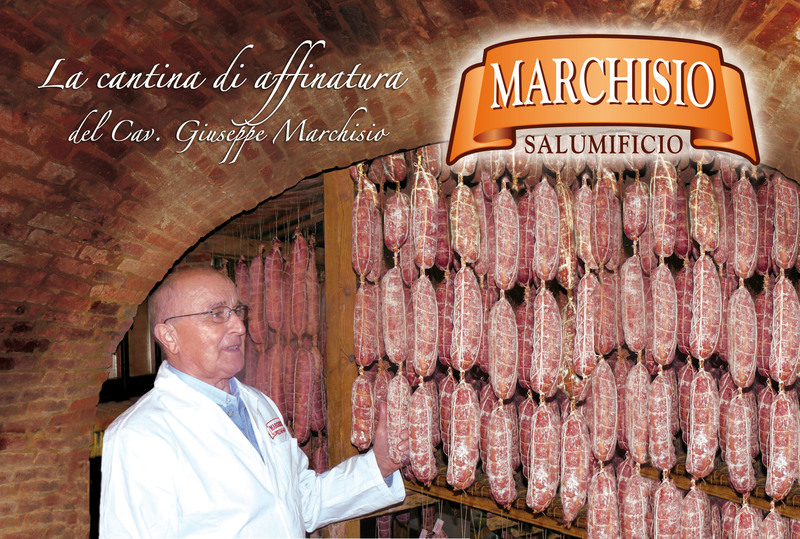 Love for traditions and the respect showed to “secret” recipes passed on from generation to generation, is what gives to SALUMIFICIO MARCHISIO products their natural and authentic taste. Handmade manufacturing, respect for traditional recipes, carefully selected ingredients and an accurate quality control: these are the key point of SALUMIFICIO MARCHISIO philosophy, and it is exactly for these reasons that SALUMIFICIO MARCHISIO earned the mark “Eccellenza Artigiana” – Manufacturing Excellence.